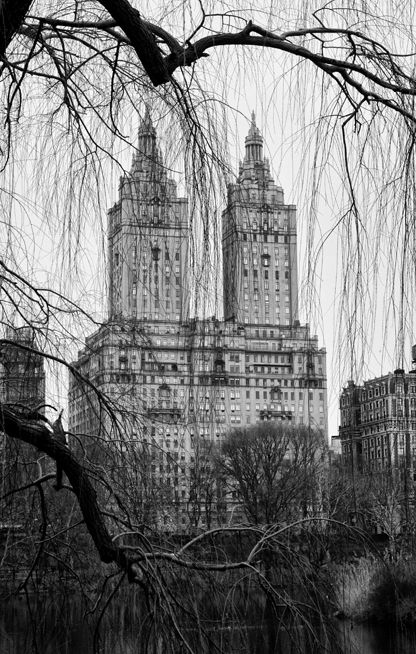 Home > Black & White, Cityscapes, Lifestyles, Nature	> Just a walk in the park…Central Park. Just a walk in the park…Central Park. Before leaving the Big Apple after my solo exhibition at 25CPW Gallery, I spent the last day shooting in Central Park. With a little help from our pedicab driver, we toured the park in his semi-motorized two-wheel rickshaw. Covered with a blanket to protect against the cold, we zipped through the park from Central Park South, north to Belvedere Castle. 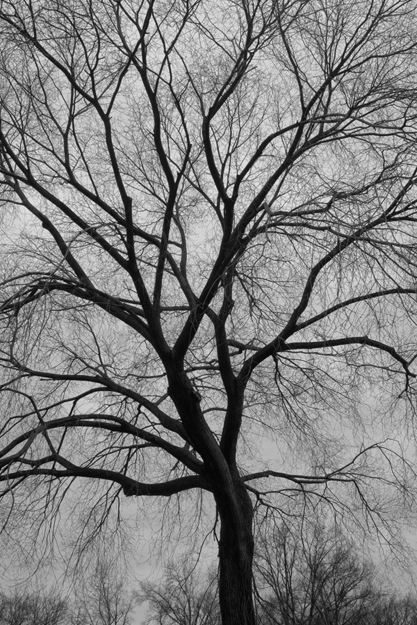 It was a cold winter’s day with totally gray skies, creating some photographic challenges and opportunities. I needed to cover the cloudless skies while capturing the muted light from the overcast day. Since I always try to bring natural elements into my images, even in the city, the tree branches became an intrical part of the shots. First, The Dakota, where Beatle, John Lennon lived and was killed and where his wife, Yoko Ono still lives. Shot from atop Central Park’s Belvedere Castle, the bare winter trees created a perfect frame. 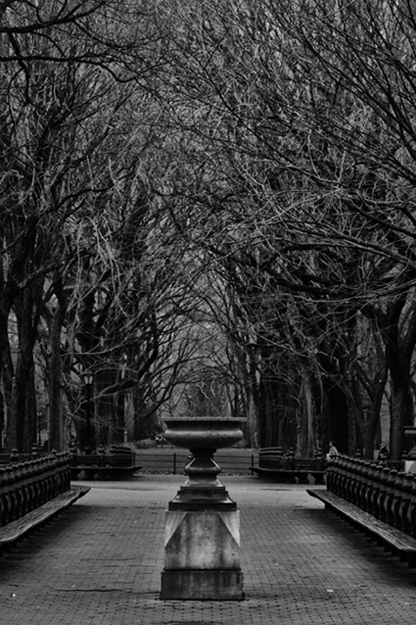 Next, a statue and symmetric row of trees shows the elegance that is the design of Central Park. Third, many of the trees in the park are beautiful within themselves, sometimes you just have to look up. For this type of shot, composition is key, as is filling the frame with the subject. Bottom line, beautiful images can be created in all types of light, as long as you adjust, and compensate, for the specifics of the situation. Once you do that…it’s just a walk in the park. I’m in a New York State of Mind / Central Park in Color (Pre-Blizzard) If you build it…they will come / BSG Solo Exhibition in NYC closes.